KURE BEACH - As part of the state's observance of the Civil War Sesquicentennial, the N.C. Department of Cultural Resources' Fort Fisher State Historic Site will host "The Lights of the Great Armada: The 147th Anniversary of the Battle of Fort Fisher" on Jan. 21-22, 2012. 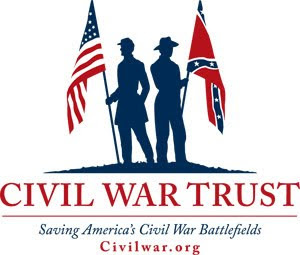 This two-day event will highlight the war's largest amphibious assault with a Navy and Marine living history program that includes small arms and artillery demonstrations, a period torpedo exhibit, as well as special presentations focusing on the Union and Confederate sailors and marines who fought at Fort Fisher in January 1865. Among the guest speakers will be Dr. Robert M. Browning Jr., Chief Historian for the U.S. Coast Guard. The author of several books and dozens of articles on the Civil War, Browning will present "None can be more vigilant than we are...the North Atlantic Blockading Squadron during the Civil War." Also presenting will be Dr. Mark Wilde-Ramsing, Deputy State Archaeologist with the N.C. Office of State Archaeology, who will discuss the blockade runner Modern Greece, and Larry Bopp and Steve Bockmiller of the U.S. Marine Corps Historical Company and Ship's Company. Hours are 10 a.m.-4 p.m. on Saturday and 11 a.m.-4 p.m. on Sunday. The program is free both days; donations are appreciated. All Fort Fisher programming is made possible by support from the Friends of Fort Fisher, a nonprofit group, and 2012 sustaining members Mike McCarley and James M. Taylor. As this year draws to a close, I must stand back and say, what a year! It's been a privilege to get out and visit so many places and talk to so many of you. As a way to wrap up the year, I thought I would look back at a couple of highlights. This year, I've had the chance to do 55 lectures and/or book signings. These have been in almost every corner of the state, from Fort Fisher, to Charlotte, and Old Salem, to Asheville and Waynesville. 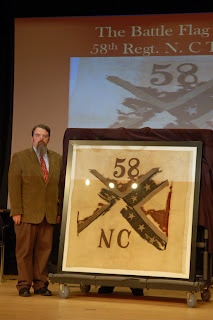 I started this year at the North Carolina Museum of History, speaking at a program that centered around the flag fragments belonging to the 58th North Carolina Troops. April was the Allatoona was the 29th and 39th NCT's Monument dedication, and in May, I was back at the Museum of History, speaking at a Civil War Sesquicentennial. Also in May, I was in Gettysburg, Pennsylvania, signing books at book the Reliance Saloon (Beer and a Book) and at the American History Store. The Fort Fisher event in July was great (love to hear that 32-pounder sound off). The event in October at Old Salem was really great. 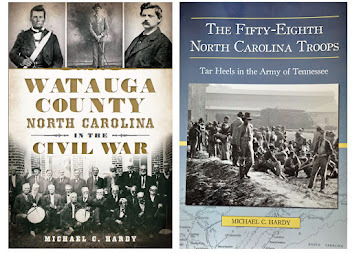 I spent the first half of the year speaking and signing North Carolina Remembers Gettysburg, and the last few months speaking and signing North Carolina in the Civil War. Next year is looking even better - if that is at all possible. I'll start off speaking in Wilkes County on January 7 (at the library, I think). In February I'll be in Greenville, Tennessee, and the Caldwell County Public Library. 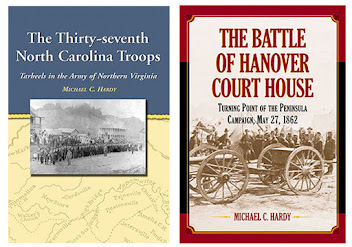 I'm already scheduled to speak at the Civil War Round Tables in Burlington and Durham this year, and in Hanover Court House on May 27. I'm sure I'll be back in Gettysburg at least once, maybe twice. One series of special events that I am really looking forward to is a series of book signings with friend and New York Times best-seller Sharyn McCrumb. Earlier this year, Sharyn asked me to write a forward to a re-release of her novel, Ghost Riders. This tome follows the war-time lives of Keith and Malinda Blalock. I'm really looking forward to this event. So, it's been a great year. I've enjoyed all of the places and events and people. Next year, with the release of Civil War Charlotte, is going to be even better. RALEIGH – Heroic tales and valiant feats are depicted in images that reflect North Carolina’s dedication to the war in the “Freedom, Sacrifice, Memory: Civil War Sesquicentennial Photography Exhibit” (www.nccivilwar150.com). The N.C. Maritime Museum in Beaufort and the Wilkes County Public Library in North Wilkesboro will host the free display from Jan. 2-29, 2012, sharing images and stories that capture the history and people of the Civil War (1861-1865). 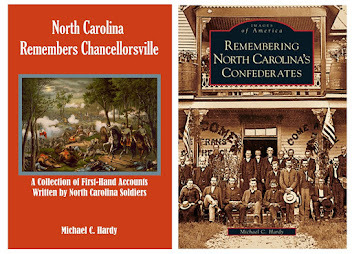 The N.C. Department of Cultural Resources will display 24 images from the State Archives (www.archives.ncdcr.gov), the N.C. Museum of History (www.ncmuseumofhistory.org) and State Historic Sites (www.nchistoricsites.org) on simultaneous eastern and western routes. 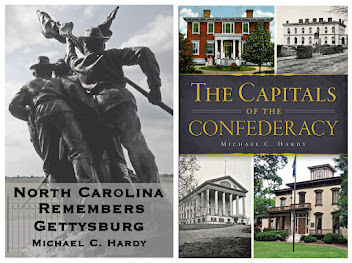 Between April 2011 and May 2013, 50 libraries will showcase “Freedom, Sacrifice, Memory” offering visuals that present gallant women, African American triumph and the perseverance of Confederate soldiers. A notebook accompanies the exhibit with further information and seeking viewer comments. One of the images portrays a poignant letter from Colonel Isaac E. Avery that embodies the courage and passion of the Confederate forces. Born Dec. 20, 1828, in Burke County, North Carolina, Avery served in the 6th NC Troops and led the attack on Cemetery Hill at Gettysburg, Pa., in July 1863. As his final act, Avery wrote a message to Major Samuel McDowell Tate reading, “Major. Tell my father I died with my Face to the enemy. I. E. Avery,” and he marked it with his blood. For information on the exhibit in Beaufort call the museum at (252) 728-7317; in Wilkes County call the library at (336) 838-2818. For information on the statewide tour visit call Cultural Resources at (919) 807-7389. We are all familiar with the idea of the War being a War in which brothers fought against brothers. But how often do we actually come across those stories? 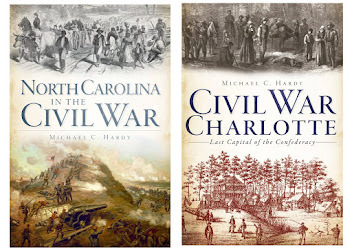 In my research for Civil War Charlotte, I've actually found on such tale. Ok, I kind of knew this story before, but not all of the details. So, here are the details. In 1838, Dr. John H. Gibbons became chief assayer at the new United State Mint in, or near, Charlotte, North Carolina. The first gold rush was rapidly expanding the town. Previously, the Gibbons family had lived in Pennsylvania, in Philadelphia to be exact. There were ten Gibbons children. One of those sons was John Gibbon (no, I don't know why he does not have the s). John was eleven when the family moved, and went on to spend about five years in the Queen City. John graduated from West Point in 1847, and served in the Mexican War and the Seminole War, and taught artillery tactics at West Point. When the Civil War started, John became chief of artillery for Irvin McDowell. 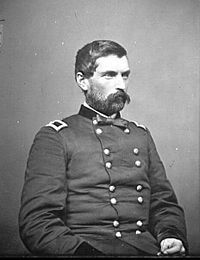 In 1862, he was promoted to brigadier general of volunteers and assigned command of a brigade of Wisconsin Men. Later, this brigade was known as the Iron Brigade. John later commanded the 2nd Division, II Corps, and at Gettysburg, commanded the Corps during part of the battle. It was on his front that the Picket-Pettigrew-Trimble charge landed on July 3. He was also wounded the second time. Gibbon would later command the XVIII Corps, and then the XXIV Corps. Following the War, he served out West, battling the Sioux , Cheyenne, and Nez Perce. He later commanded the Army of the Pacific Northwest, before retiring in 1891. He died in Baltimore, Maryland, and is buried in Arlington National Cemetery. An older brother was Lardner Gibbon. Lardner was a Lieutenant in the United States Navy and was sent by the US government to explore the Amazon River. On July 2, 1861, he was appointed a captain in the Confederate States Artillery. He is listed as ordinance officer and commander of corps artillery in the 2nd Military District of South Carolina, Georgia, and Florida. He later resigned on August 5, 1863. Just what his role was after his resignation is unclear. An interesting aside is that both John and Lardner served as best men in the wedding of Daniel Harvey Hill. Lardner died on January 1, 1910. Yet another older brother to John was Robert Gibbon. He was born in 1822 and graduated from the Jefferson Medical School in Philadelphia. He returned to Charlotte where he was living when the War commenced. Robert was appointed surgeon of the 28th North Carolina Troops on or about September 25, 1861, and served in this capacity until appointed senior surgeon of James H. Lane's brigade on January 29, 1864. Once the War ended, Robert returned to Charlotte and practiced surgery in the Queen City. Two of his sons founded Presbyterian Hospital. Robert died on May 14, 1898. The last brother was Nicholas Gibbon. He was born in 1837 and was attending lectures at the Jefferson Medical School in Philadelphia when the war commenced. He returned to Charlotte and enrolled in the North Carolina Military Institute, under the command of family friend D. H. Hill. 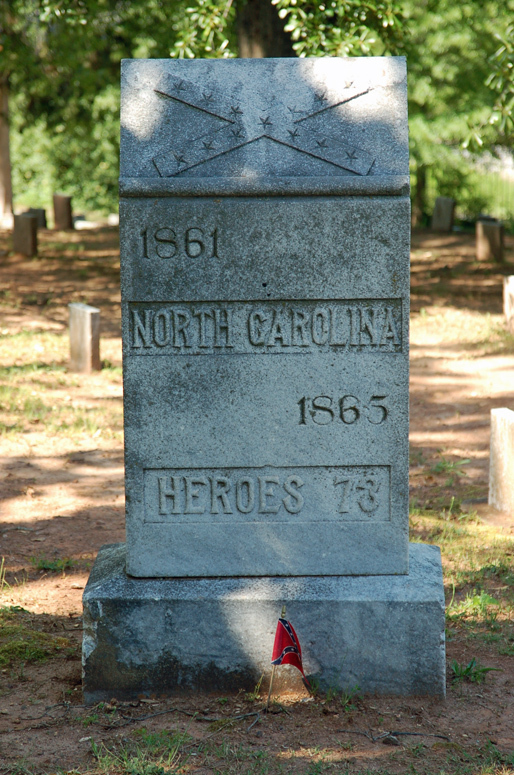 Nicholas served as a private in the 1st North Carolina Volunteers. Once that regiment mustered out of service, Nicholas was appointed Assistant Commissary of Substance in the 28th North Carolina Troops (under the command of James H. Lane, another North Carolina Military institute professor). Nicholas served in this capacity until resigning on September 17, 1863. He then served on Cadmus Wilcox's staff and in other positions until returning to North Carolina to look for deserters. Nicholas married into the Alexander family and farmed in Mecklenburg County after the War. He died on October 17, 1917. There you have it, brothers fighting brothers. By the way, two of the Gibbon sisters also married Confederate soldiers, and somehow, they are all related to James J. Pettigrew. Stonewall Jackson's Death - Union Soldier Tells How That Great Leader Was Shot. Folks - I dug this out of the Charlotte Observer (11.06.1910). 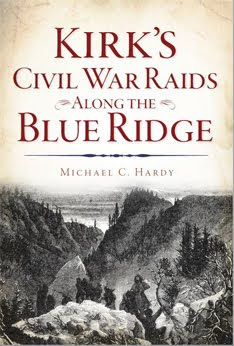 Since I wrote the book on the 37th NCT, the regiment that fired on Jackson and his party first, driving them to the other side of the Orange Plank Road and into the guns of the 18th NCT, I've been interested in the story of Jackson's mortal wounding at Chancellorsville. Or course, we know that Jackson was under fire twice. However, Hay's story just confirms that there was much confusion going on that evening. After reading this story, what do you think? John Hays, a Northern soldier, who belonged to the third division of the Second Army corps in the civil war, visited the battlefield of Chancellorsville recently and after looking over the lay of the land closely, has since come to the conclusion that he was directly responsible for the shooting of "Stonewall" Jackson on May 2, 1863, which resulted in his death a few days later. The cavalry to which Hays belonged was ordered to report to General Berry during the battle, but Berry could not be located, and Hays was sent out as a scout to find him. He found General Couch, and asked him where the brigade should go, and received the reply, "Damn it, go where the fighting is!" So Hays started back, but could not find his brigade. It was dusk, and while riding down a lonely road he noticed a little group of mounted men. Thinking they were Union soldiers, he had started toward them when a volley of musketry ripped out from all sides of him. His horse never having received a baptism of fire, wheeled and bolted down the road. Hays turned as he went and saw a commotion among the horsemen, and came to the conclusion that the volley had taken effect on them instead of killing him. A few days later he heard that General Jackson had been fatally shot by his own men at this place. Upon his recent visit to the field he relocated the old landmarks, and a Confederate officer, who was with Jackson, bore out his theory. KURE BEACH - Tap into the Christmas spirit and share holiday cheer as Fort Fisher State Historic Site in Kure Beach sponsors its Holiday Open House on Tuesday, Dec. 6, from 10 a.m. until 5 p.m. Enjoy seasonal refreshments, decorations, and entertainment throughout the day, including the elementary school chorus from Leland Christian Academy at 11 a.m., followed at 12 noon by songs and stories of Civil War blockade running by noted historical entertainer John Golden (aka Captain Roberts) and actor/interpreter and storyteller Joyce Grear (aka Harriet "Moses" Tubman), telling stories of the African-American experience and Christmas cultural traditions in the Cape Fear region. The Murray Middle School Jazz Band will cap off the festivities at 1:30 pm. with selections from their holiday repertoire. For the history lover on your shopping list, special discounts will be offered on all Fort Fisher Museum Shop merchandise. Be sure to try the new Battery Buchanan coffee, especially blended for the Friends of Fort Fisher. This free event is hosted by the Friends of Fort Fisher and Fort Fisher Chapter No. 2325, United Daughters of the Confederacy. For information, contact Paul Laird at 910-612-7067 or plaird@friendsoffortfisher.com. The Confederate Dead - The Confederate dead are being removed from the Chickamauga battle field and reinterred in the Confederate cemetery at Marietta, GA. The Journal says that about two hundred bodies arrived there during the past week. (Daily Carolina Times June 19, 1869). The process of disinterring and then reinterring the earthly remains of soldiers has always held some fascination for me. I've always tried to include these details in the books and articles that I've written. This coincides with the second most-asked question: where is my ancestor buried? Of course, you probably know the most-asked question: do you have a photograph of my ancestor? Of the two regimental histories that I've written, I only have about 10 percent of the men captured in a photograph, and few of the ten percent are in uniform. So, what does this have to do with NC and the War? There were several North Carolina regiments that fought at Chickamauga. In the 58th regiment alone there were 57 killed or mortally wounded. A few were disinterred and returned home, like Lt. Col. Edmund Kirby (Richmond, VA) and Pvt. John Eben Childs (Columbia, South Carolina). The vast majority of them lie either still on the field, or at the Marietta Confederate Cemetery in Georgia. Folks, right now, I have three events on the calendar. More my follow. Saturday, December 3, 2012, I'll be speaking at the historic Ft. Defiance just north of Lenoir in Caldwell County at 1:00 pm. Everyone is welcomed to stop by and enjoy the festivities! On Tuesday, December 6, I'll be speaking at the Concord History Museum in Concord at 7:00 pm. 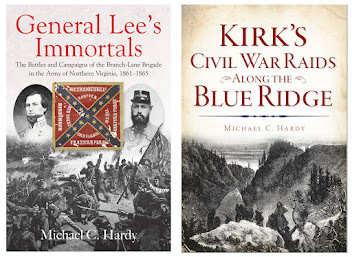 On Thursday, December 8, I'll be speaking to the Stonewall Jackson Sons of Confederate Veterans Camp in Charlotte, NC. They meet at Riverview Fish Camp at 6:00 pm.